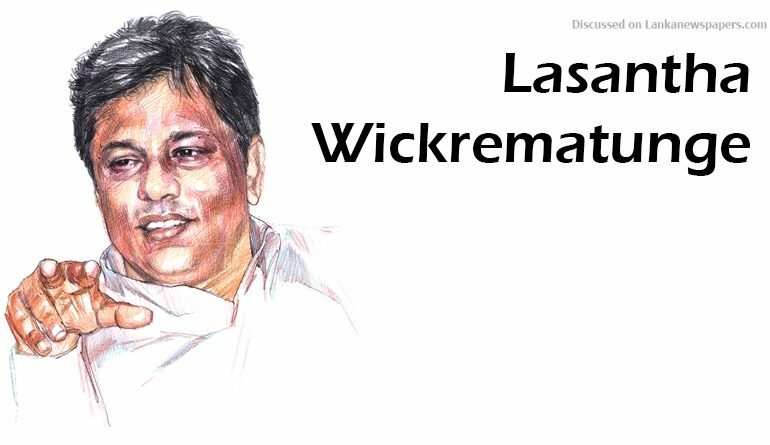 The Criminal Investigations Department (CID) is set to summon former Inspector General of Police (IGP) Jayantha Wickremaratne and former Deputy Inspector General of Police (DIG) Prasanna Nanayakkara for questioning shortly over the slaying of former Editor Lasantha Wickrematunga, sources said. During the time of the assassination of Wickrematunga, Wickremaratne had functioned as the IGP while Nanayakkara had been the DIG in charge of the Mount Lavinia Police Division. CID sources said that the two former top Police officers will be questioned with regard to the alleged withholding of vital evidence related to the former Editor’s murder. Already, the judiciary has impounded the passports of Wickremaratne, Nanayakkara and former Senior DIG Hemantha Adhikari following submissions made to the Mount Lavinia Magistrate’s Court by the CID regarding the investigations into the said murder case.